"In this secular age it seems distinctly odd that anyone would expect to find a religious book in a hotel bedroom." So what are guests who are not the book's "target audience" supposed to read on a visit to the Damson Dene Hotel? Denby isn't banishing the Bible altogether. Instead, he plans to keep a few copies behind the reception desk in case someone asks. I wish that I could say that I am shocked by this, but in reality - he is correct. This is a secular age, a "post-Christian" society. How sad! We are in an age where right is wrong and wrong is right - everything is upside down. We must decide what will be our standard. How will we chart our path through a world that is twisting and turning? How will we decide what is right and wrong? One thing is very clear: we cannot depend on culture or mainstream to make those choices for us. We cannot even rely upon our pastor, parents or friends. We must make and individual choice. You cannot allow your morals and values to be based on a sliding scale, they must be firmly rooted in something unchangeable. I know where mine are rooted. Do you? 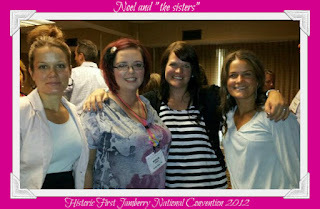 Recently, my friend Jackie started a new business venture with Perfectly Posh. Perfectly Posh uses tocopherol (vitamin E) as it's primary preservative, and they fragrance with high-quality perfumes and essential oils. She gave me a tube of The Healer, since I was having some trouble with very dry skin. I learned that the deep cracks are called "fissures" - that is disgusting! I had 3 or 4 on each heel. I decided to try The Healer on my heels. When I told Jackie this, she was disturbed surprised. She uses it as a facial moisturizer! I love the consistency of The Healer. It is firm in the stick, but almost instantly melts with your body temperature. It absorbs quickly and doesn't make your skin feel greasy at all. And it smells amazing. Perhaps too good. I have had to hunt it down almost every night! My kids love it too! 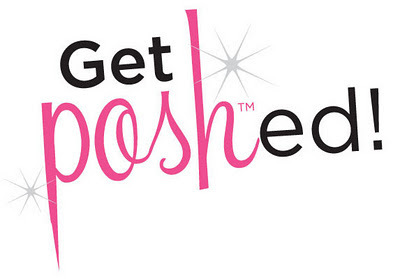 I can't wait to try more of Perfectly Posh's products - I've already got a wish list going! I'm excited that Jackie has agreed to give one of my lucky readers their very own "The Healer" to use! The company’s product is a simple one. 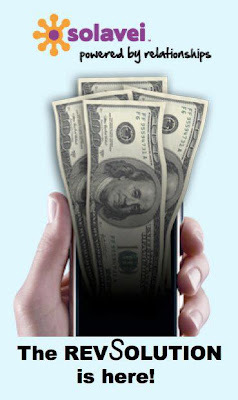 Customers pay a $49 sign-up fee, and $49 per month for unlimited talk, text and data on T-Mobile’s nationwide network. Customers can either bring their own unlocked GSM cellphone or pay the full unsubsidized price of one of the three models being sold by Solavei. The models, from HTC and ZTE, range from $159 to $500. Here’s where things get interesting. 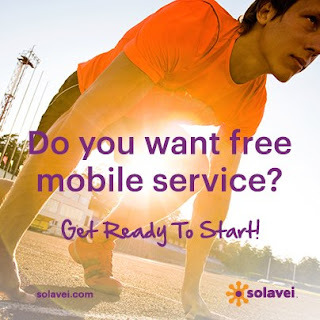 Solavei relies on its customers to sign up other customers. For every three customers they bring in, they get paid $20. They also stand to benefit when the people they sign up sign up others, and they can even make some from sales beyond that. 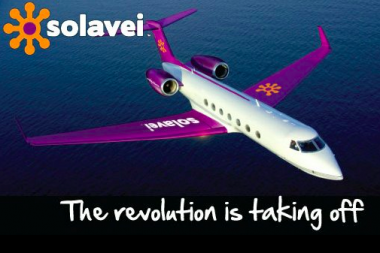 Solavei also promises other one-time bonuses for signing up new customers within one’s first 60 days as a member. Solavei also says there is an option to be a “member” without getting service, for $149 a year. So, You're a Direct Sales Diva? One of the things that I love about Jamberry Nails is how much attention they get! People notice and ask me about them, which is a great way to start a conversation for my business! If you are tired of trying to “drum up” interest and conversations, why not let your fingernails start conversations for YOUR business too? It’s the best marketing investment you’ll make! Don’t see your business listed? Contact me today for a custom recommendation! Looking for an additional Direct Sales business to complement your existing one? Join my Jamberry Nails team today! I am a founding member of a brand new company that will benefit millions of people by saving them money on a service they use everyday. It will revolutionize commerce as we know it, and help thousands of people in a myriad of ways, especially financially. We won't be launching until September 21, 2012. Most of you KNOW the benefit of learning about a company before it launches. We are in pre-launch and therefore need an NDA (non-disclosure agreement) before I can share details with you. If you would like for me to send you an email with an NDA link, and more information about this amazing new REVOLUTION, simply message me with your email address. I am so excited to share this very exciting NEW and revolutionary idea with you. Have you heard the buzz going around about this company in the pre-launch phase? I feel honored that I have the opportunity to share with my friends and family! 96% of the US Population qualifies to take advantage of this. E-commerce and technology together in a company that consumers will consider a blessing each time they pay their monthly bill. Since they are in the prelaunch phase, I am able to invite you to simply learn more about it after you click through a non disclosure agreement. I love it because it will help so many families reduce their monthly bills. I also love it because there's a pretty phenomenal incentive for those that are interested in additional streams of income off something you're already paying for. If you're interested in learning more, let me know, and I will email you information to learn about it! I am so impressed - I know you will be too! This could be a great answer to prayer for William and I! Please let me know your info so I can share this with you - you have nothing to lose and perhaps lots to gain! UPDATE: As of August 8th I have 67 team members! 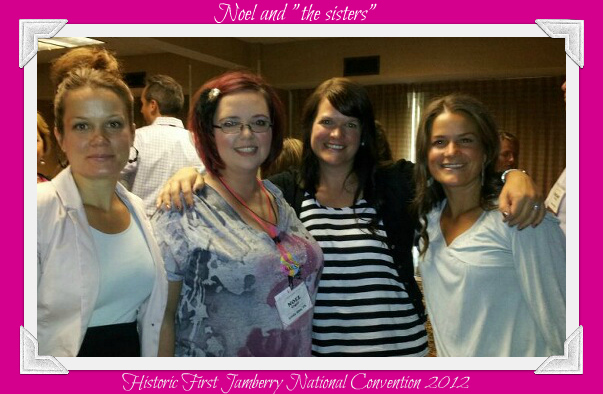 Join my Jamberry Nails team today! Wanna Join Us? Contact me today! 4 months, 59 team members, 13 states. I am so proud of my GLOW Girls team! Who's ready to have more in life? Ask me how! 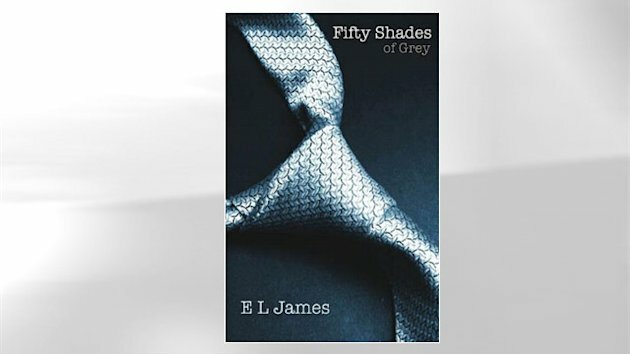 Maybe you've read some "holier than thou" articles on why a Christian shouldn't read the book "Fifty Shades of Grey" and you've thought "yeah - you don't know what you're missing!" Well, read on my friends! It's true - they don't know what they are missing! I read the first 11 chapters last night. Let me back up a little bit though, before I tell you what I think of the book.